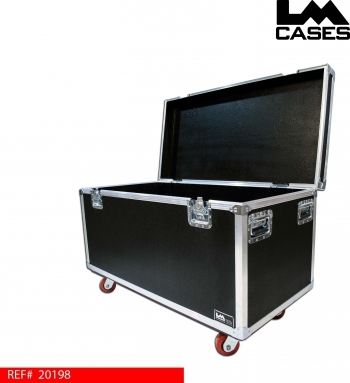 This trunk is perfect for storage of large heavy cables. The case interior is finished with durable black texture coating that can easily be wiped clean. The lid is supported by recessed lid stays that hold the lid open without the need for interior mounted cables or straps. Recessed lid stays are beneficial for "catch all" trunks, standard strap or cable lid stays can cause the lid to close unexpectedly if they are hit when loading/unloading the trunk. 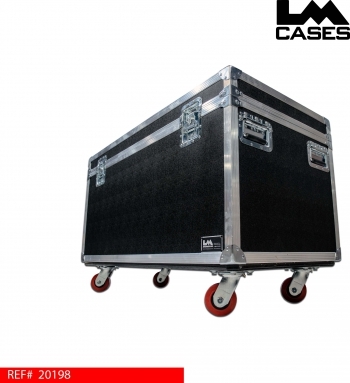 The case exterior features 4 deep recessed handles and Colson 4" x 2" casters. The interior dims are: 46.5" x 22.5" x 22.5"
CLICK HERE to view this case in our online web store.